We’d like you to meet Fenrir. Fen is a low-content wolfdog. That means less than half wolf content; the rest being Malamute. You will see him patrolling around the site, and accompanying us on just about every adventure. This furry snuggle beast adds an extra dimension to every outing, and we wouldn’t have our journey any other way. He gets more excited to go on adventures than we do! Those that adventure with a 4-legged friend know that travel and planning requires an extra set of concerns, but with the right critter and relationships, it’s so much better. So, here’s your gratuitous puppy pics of Fenrir doing what he enjoys the most! The day Fenrir was picked up from a rough situation. He’s been spoiled ever since. He always “helps” in the shop. A meme made by Josh Johnson. Still a favorite. 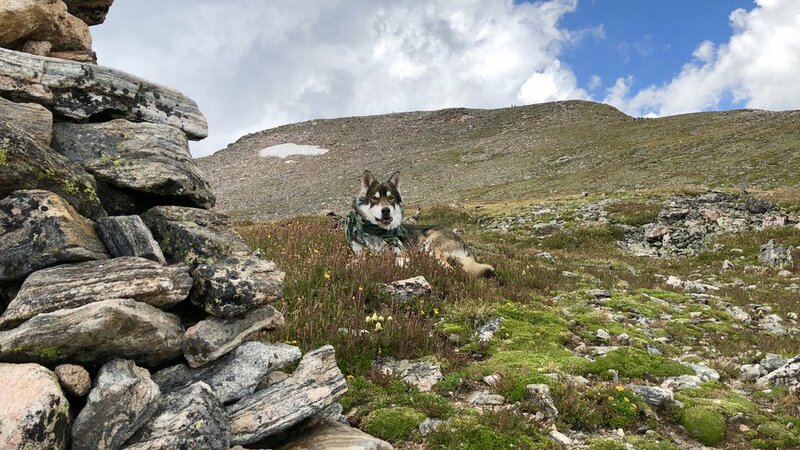 Fenrir lives for the trail…. Fenrir fancies himself as an unofficial mascot for Triple Aught Design. Thank you Matt Ritscher for some awesome shots of Fen! 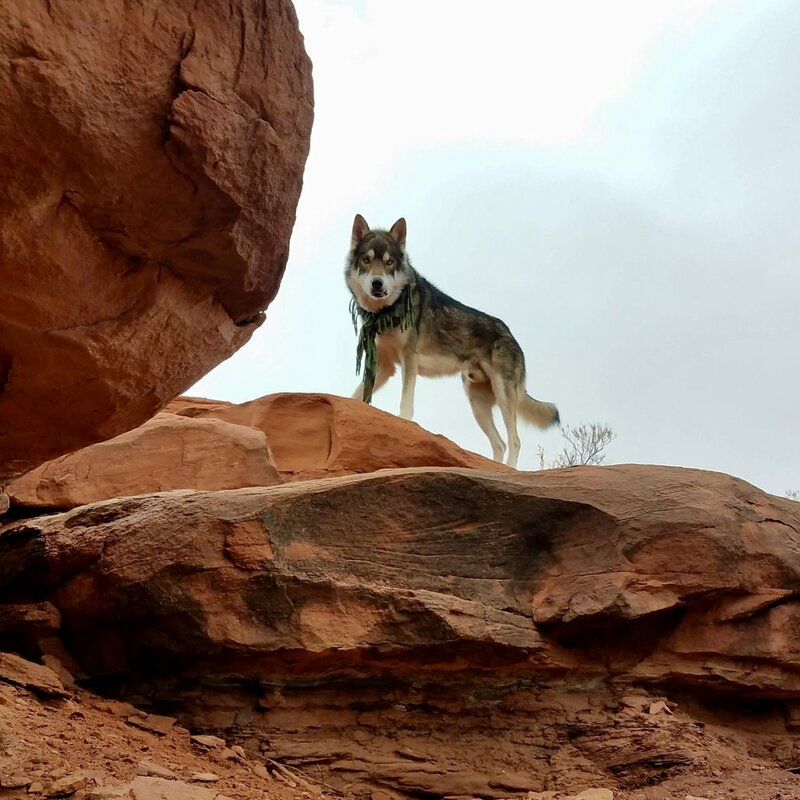 Stay tuned to Flatwater Overland on Instagram and Facebook for content with Fenrir the Trail Wolf. Check back to this website often as well, we are always uploading new content!